Could EAB be Affecting Our Local Trees? Monday, July 10th. some of us were awakened by a huge storm. This storm wreaked havoc all over the Midwest including one of my neighbors on the corner of Morgan and Chatham. The roof of their garage and home sustained quite a bit of damage. The tree that fell on their roofs was large. 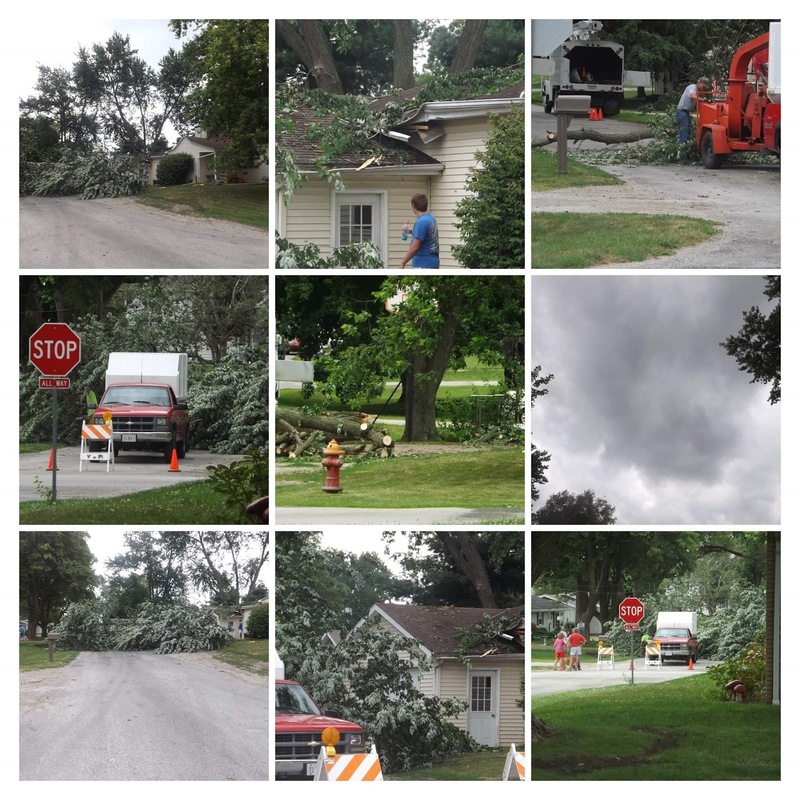 A block of Morgan was closed down for a few hours and many different services were needed to remove the tree from the home and street. Putting it through the wood chipper was a much quicker task. I am sorry for the repairs they will have to pay for. May it be quick, easy and affordable. I am not sure of the condition of this tree before it fell, but it made me think of the tree sickness the Emerald Ash Borer [EAB] infestation. Many people in Central Illinois are having to cut down Ash trees this year because of the damage a dead/sick tree can do. Unfortunately, this Asian beetle breeds quickly and at a very high rate of egg hatching. The damage comes from the larvae that are hatched in between the bark and the wood. This causes the tree to not be able to produce food for itself. Eventually starving to death, but not before the insects infect any neighboring trees and kill them as well. Unfortunately, by the time people realize that their tree is infected, it is too late. Detecting if you have this infestation can be challenging. There are some things you can do to help prevent losing a tree. Injecting with an insecticide every spring will help prevent the beetles from laying eggs in the tree. Cutting one tree down could save the surrounding trees. There will be more storms occurring this summer. My neighbors and neighborhood got lucky this time, but it could have been much worse. If you have a tree you are not sure about or questions, go to the U of I website.